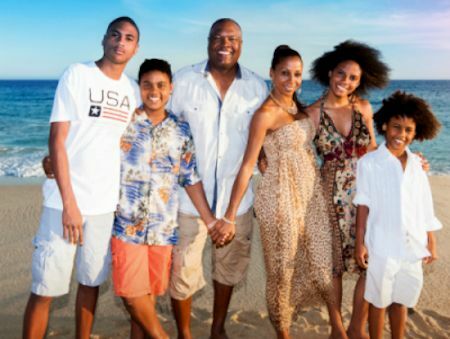 The new comedic, dramatic and intimate OWN docu-series For Peete's Sake following the lives of husband and wife duo Holly Robinson Peete and Rodney Peete will join the network's popular Saturday night line up on Saturday, March 19 at 9 pm ET/PT. Holly Robinson Peete and Rodney Peete were two of the brightest stars in their fields in the 80's and 90's. Holly lit up the small screen from an early age with starring roles in 21 Jump Street and Hangin' With Mr. Cooper, and her husband and NFL quarterback Rodney Peete dominated the league for 16 years. Now the duo are giving viewers an intimate look at their hectic and often-times comical lives as they attempt to balance raising their four kids, running a charity (the HollyRod Foundation) and spending time with Holly's über-manager mother Dolores who is still wheeling and dealing even as she approaches 80 years young. In a household where constant activity and change are the norm, the series celebrates the chaotic, yet loving dynamic of life in this magnetic American family. FX has renewed the new comedy Baskets starring Zach Galifianakis for a second season. Baskets, co-created by Galifianakis, Louis C.K. and Jonathan Krisel, delivered the most-watched basic cable primetime comedy series premiere since 2014. The second season of Baskets will debut in early 2017. 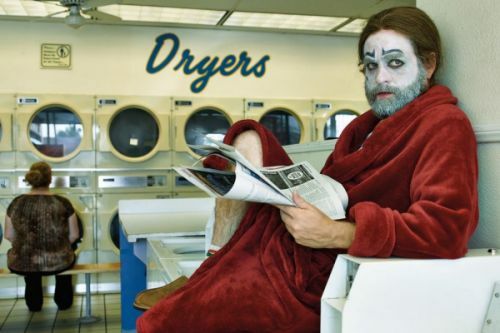 In Baskets, Chip Baskets (Galifianakis) wants to follow his dream of being a French clown - however, reality keeps interfering. Saddled with financial difficulties and facing an impenetrable language barrier, he moves back home to Bakersfield with high hopes. There, he is forced to confront his past while working as a rodeo clown and competing with his siblings for his mother's (Louie Anderson) approval and affection. The series also stars Martha Kelly as Chip's insurance claims adjuster. Baskets returns with an all-new episode this Thursday, February 25 at 10 PM e/p on FX: "DJ Twins" - All the free bottled water in the world can't soften the sting of rejection during an evening with the family. Written by Jonathan Krisel; Directed by Jonathan Krisel.